Providing you the best range of molasses handled pump, customized self priming pump, self priming non clog pump, self priming pumps and self priming ss pump with effective & timely delivery. Many different regulatory bodies have set specifications for a hygienically correct configuration of components and machines, as well as for component cleanability. 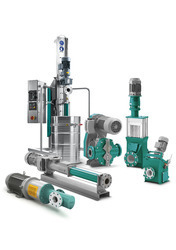 NETZSCH Pumps are designed, produced and inspected in accordance with the regulations of the EHEDG (European Hygienic Equipment Design Group) and the QHD (Qualified Hygienic Design). The materials used are approved by the FDA (Food and Drug Administration). In addition, NEMO® Hygienic and Aseptic Pumps meet the specifications of the United States’ 3-A Sanitary Standards and are GOST-R certified (a Russian certificate of conformity). We offer a complete collection of high grade Self Priming Non Clog Pump. to our prestigious customers. Manufactured using latest technology, the offered pumps are widely used in the agricultural sector for the irrigation purpose. The quality controller keeps strict vigil over the entire manufacturing process to ensure flawless range. We are one of the prominent dealers and exporters of a wide range of Self Priming Non Clog Pump that is sourced from Kirloskar. These are widely demanded in both the domestic and international markets owing to its durability, bearing, energy saving and excellent thermal reserve features. Our range is developed using state-of-the art manufacturing facilities to ensure optimum quality in the end product. Further, these are also available in customized finishes for inverter application as per the client’s specific requirements. 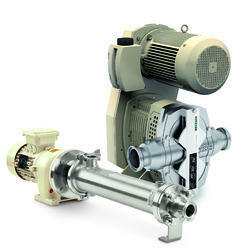 Our valuable clients can avail from us a broad range of Self Priming Pumps. These high-quality pumps we offer are internationally known for their strong construction, easy installation, and smooth functionality. Our quality auditors manage a variety of tests on these products to ensure that high-quality products are offered to our esteemed clients. 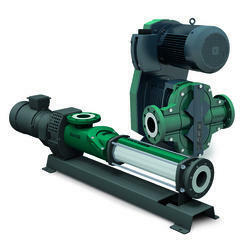 These pumps are largely used DE-watering applications liquid transfer and circulating water. This range of products can also be availed in different customized versions. From heavy to medium range industries, these Self Priming SS Pump are used across many industries and are very useful in catering to the special suction and discharge needs at plants. These are easy to install and operate. We make them in such a way that they make low noise and the flow of liquid across is also very smooth.